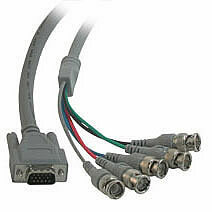 Your expensive HDTV video projector deserves SonicWave™ BNC Breakout cables. 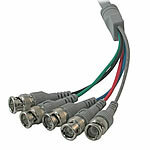 Component video interconnects are the industry standard for delivering the full measure of performance, and BNC connectors are a broadcast industry standard. 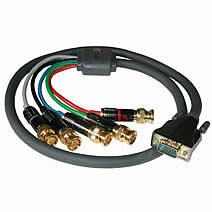 SonicWave™ Component Video Interconnects by Impact Acoustics™ ensure state-ofhe-art performance through advanced cable design, construction and materials. Silver-plated oxygen-free copper center conductors and nitrogen-foamed PE dielectric combine with Cu Shielding Technology™ and 24K gold-plated connectors to provide a lifetime of dependable performance. 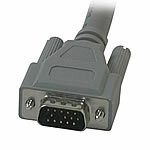 Precision construction techniques maintain characteristic 75-ohm impedance, and guarantee maximum signal fidelity.